Costco Wholesale’s commitment to passing savings on to its members shows up in a wide variety of ways — including the inventive approach to continually innovating in warehouse design. To the untrained eye, that might seem like a simple process. But our relationship and Costco’s success has been built around a process of increasing efficiencies and improving the warehouse prototype in ways that requires constant innovation and creativity. This commitment to efficiencies has led to a warehouse prototype that represents years of cumulative modifications and a brisk construction schedule of just 110 days from pouring the foundation to welcoming the first Costco member into the new warehouse. 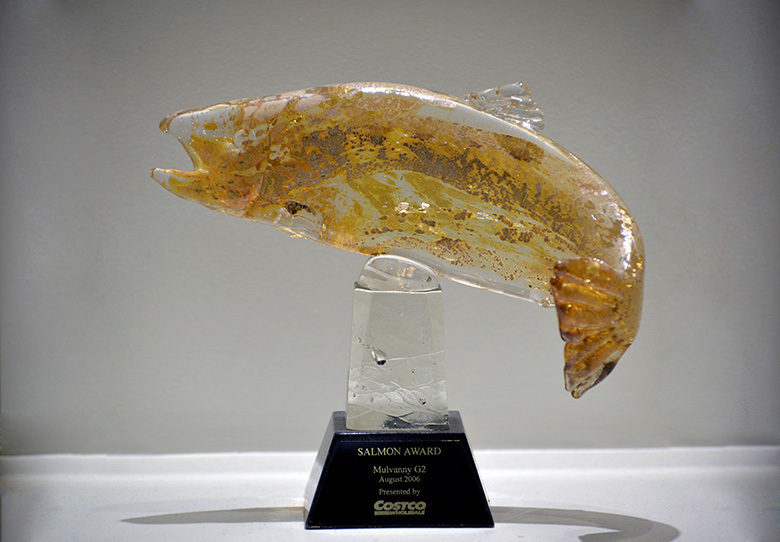 When Costco first established its meat department in 1987, a team was dedicated to creating a quality salmon fillet. The first product was a high-quality, skin-on fillet for $5.99 per pound — an excellent value — but the salmon team saw room for improvement. In stage two, excess parts of the fish were removed and even though the quality was improved, the price was reduced to $5.29 a pound. Later, the buying team found another way to enhance the product by offering a fully trimmed, skinless, and boneless fillet — and lowered the price to $4.99 a pound. In stage four, the team found that buying in bulk from Chile and Canada enabled them to lower the price even further, to $4.79. In stage five, the quality was further improved through certain trimming, but Costco maintained the same price. At each point in this story, Costco could have raised the price for the improved product, but chose not to. This continues today as Costco goes to great lengths to improve its product offering while providing greater value for its members. So, what does well-priced salmon have to do with architecture? Because MG2 has been with Costco from day one, we have embraced its efficient, customer-focused mission and we apply it vigorously to the services we provide. Most large-format stores update their master building design or prototype on a quarterly basis, making modifications and improvements. MG2 maintains Costco’s master warehouse design for the 148,000 SF, metal-skinned prototype and makes updates on a monthly basis. Changes to the Costco master are an evolutionary refinement and can come in the form of a small specification change or in a large-scale redevelopment of the building structure or envelope. Regardless of the scale, each change is meaningful. At one point, we discovered that we could save around $70,000 per location in material and labor costs by incorporating the adjacent tire center into the building envelope. Another change integrated stronger roof joists capable of supporting the same weight with a longer span, which reduced the number of necessary columns from 145 to 109. Multiply the cost of the columns and other components by the number of subsequent warehouses and then consider the greater merchandising flexibility those longer spans allow. The cost savings and potential profit due to one structural change can be exponential. For Costco and many of our clients around the world, efficiency and impeccable attention to detail are essential. A single day of construction delay can mean a loss of millions of dollars and we take that responsibility personally. With the “salmon story” ever present in our minds, MG2’s unique partnership with Costco has not only helped to build their business around the world but it has shaped the way we build trusted, long-term relationships and strive to innovate and discover new efficiencies. Partnering with Costco to turn opportunities into scalable design and delivery approaches is a challenge we look forward to tackling every day for many, many years to come. Perhaps until we get to a 109-day construction schedule.